The recent U.S. Department of State announcement of new fees for renouncing U.S. citizenship have been increased significantly. The costs of the “Hotel California” have gone up to US$ 2,350 from US$450. This information comes on the heals of distressing news that in some Consulate offices throughout the world, U.S. citizens are not able to get meetings for renunciations until the year 2015. Mexico City, August 28, 2014 – Effective September 12, 2014, the Department of State will adjust processing fees for some services. The fees for most categories of immigrant visas will change, while fees for nonimmigrant visas largely remain the same. The fee for processing an application for Renunciation of U.S. Citizenship is increasing to reflect the true cost of providing this service. The Department seeks to recover, as far as possible, the cost of providing consular services through the collection of consular fees. The Department regularly reviews these costs and adjusts fees as necessary to reflect the cost of service. Although most categories of nonimmigrant visa processing fees will remain the same, the fee for E visas (treaty-traders and treaty-investors) will decrease and the fee for K visas (for fiancé(e)s of U.S. citizens) will increase. The fee charged for Border Crossing Cards for Mexican citizen minor applicants under the age of 15 will increase by $1. For immigrant visa processing, the fee for family-sponsored immigrant visas will increase, as will the fee for domestic review of an Affidavit of Support. All other immigrant and special visa processing fees that are changing will decrease. 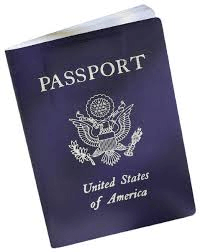 Documenting a U.S. citizen’s renunciation of citizenship is extremely costly, requiring U.S. consular officers overseas to spend substantial amounts of time to accept, process, and adjudicate cases. The fee for processing renunciation of citizenship, which had previously been subsidized, is now reflective of the true cost. The proposed fees were published in the Federal Register today, and will take effect in 15 days. To view the interim final rule, visit www.regulations.gov. Comments will be accepted until 60 days after publication. At that time, the Department will consider the public comments, and the published final rule will include the Department’s response to any comments received. Fee information may also be found on the Bureau of Consular Affairs website, travel.state.gov, and on the websites of U.S. embassies and consulates. This entry was posted in Immigration Law Considerations. Will the IRS treat a USC or LPR residing outside the U.S. who purposefully refuses to file U.S. income tax returns and information returns the same as “tax protesters”? What is a “tax protester”? What is the significance for USCs and LPRs residing overseas? What if the U.S. tax and its applicability to USCs and LPRs living overseas, specifically including the tax on expatriation seems unfair, unjust, overreaching, burdensome, etc.? Is that a legal basis for defying the law’s application and reach? The author has consistency argued, that from a tax policy perspective, U.S. citizenship based taxation of worldwide income for those who live outside the U.S. needs to be repealed as it is unique in the world, dates to the 19th Century Civil War and is inappropriate for the global world we live in. See, “Tax Simplification: The Need for Consistent Tax Treatment of All Individuals (Citizens, Lawful Permanent Residents and Non-Citizens Regardless of Immigration Status) Residing Overseas, Including the Repeal of U.S. Citizenship Based Taxation,” by Patrick W. Martin and Professor Reuven Avi-Yonah, 2013. These Constitutional arguments are not looked well upon by any branch of the U.S. federal government. The IRS and Tax Division of the Department of Justice regularly prosecute these cases. The Courts regularly uphold the government’s position; and the Congress has passed increasingly harsh penalties, including as late as in 2007 (See IRC section 6702 – Frivolous Tax Submissions). The term “tax protester” became somewhat taboo after Congress passed a law designed at protecting taxpayer’s rights. The current, more politically correct terminology comes from the National Tax Defier Initiative, also known as the “TAXDEF Initiative” which was launched by the Tax Division of the DOJ. Some people believe with great fervor preposterous things that just happen to coincide with their self-interest. “Tax protesters” have convinced themselves that wages are not income, that only gold is money, that the Sixteenth Amendment is unconstitutional, and so on. These beliefs all lead—so tax protesters think—to the elimination of their obligation to pay taxes. Hoards of taxpayers have been found liable for civil penalties, civil fraud penalties and criminal liability (in the most egregious of cases – with prison sentences) over the years as they have asserted a range of arguments found to be frivolous. This entry was posted in IRS Audit Techniques - Expatriation, Tax Compliance, Tax Policy. 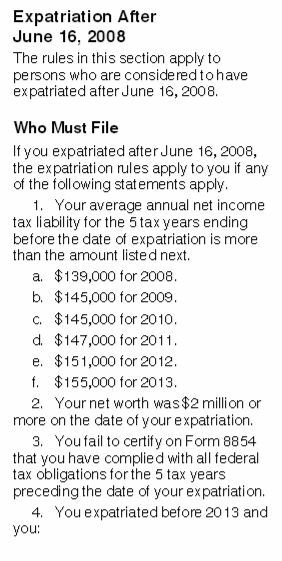 Why a “long-term” LPR can NEVER avoid “Covered Expatriate” status under IRC Section 877A(g)(1)(B) if Asset or Tax Liability Test is Satisfied! There have been multiple posts explaining the importance of the certification requirement of Section 877(a)(2)(C). See for instance, Certification Requirement of Section 877(a)(2)(C) – (5 Years of Tax Compliance) and Important Timing Considerations per the Statute, also see Can the Certification Requirement of Section 877(a)(2)(C) be Satisfied “After the Fact”? This specific act of “certifying” is a requirement under the law, that requires all individuals (whether U.S. citizens or LPRs) to satisfy the elements of the certification, in order to avoid “covered expatriate” status. (II) has been a resident of the United States (as defined in section 7701 (b)(1)(A)(ii)) for not more than 10 taxable years during the 15-taxable year period ending with the taxable year during which the expatriation date occurs, or . . . Importantly, the elements of the statute apply only to persons who “became at birth a citizen of the United States”; and in the case of lawful permanent residents (LPRs), they be definition will not have become at birth a citizen of the United States. Accordingly, a “long term” LPR who meets either the US$2M asset test, or average income tax liability test (currently US$157,000 for the year 2014), will necessarily become a “covered expatriate” even if they can satisfy the Certification Requirement of Section 877(a)(2)(C). For the type of consequences that follow from being a “covered expatriate”, see for instance, Why “covered expat” (“covered expatriate”) status matters, even if you have no assets! The “Forever Taint”! Accordingly, it is important for each “long-term” LPR to understand clearly the current and future U.S. tax consequences to (i) them – the “mark-to market” tax, and (2) tax on “covered gifts” and “covered bequests” to U.S. persons. Importantly, understanding these consequences should be long before the LPR ceases to be a LPR for tax purposes; irrespective of the immigration law consequences. This entry was posted in Lawful Permanent Residents, Tax Compliance. 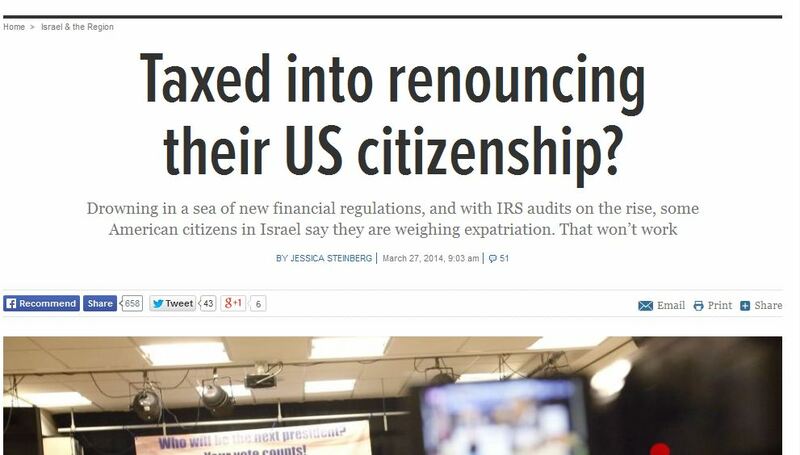 The following article has little to do, directly, with the U.S. tax and legal consequences of renouncing U.S. citizenship. It is an opinion piece reflecting a Canadian perspective of renouncing Canadian citizenship. Sen. Ted Cruz (R-Texas) will renounce his Canadian citizenship. That’s a perfectly logical, rational perspective. It is one shared by many Canadians, only in reverse. They have lived their entire lives as Canadians only. They were born to Canadian parents temporarily working or studying in United States. Like Cruz, they returned to their country of citizenship as small children. Some were born in United States only because it was the closest hospital for their mother to give birth. Like Cruz, they had no idea they had citizenship of another country. They never claimed U.S. citizenship. They never had a U.S. passport or Social Security number and never worked in United States. Until recently, they had “nothing against” United States. Suddenly, the U.S. Congress, U.S. Treasury and Internal Revenue Service turned their lives topsy-turvy.. These “accidental Americans” only recently learned IRS expects them to file income tax returns each year. Most owe no U.S. tax because they pay taxes to Canada, where they have lived their entire lives. Yet accounting and legal costs are prohibitive due to the complexity of the U.S. tax code, especially for non-resident aliens. In addition to annual IRS returns, these Canadians are expected file a Foreign Bank Account Report (FBAR), outlining all “foreign” bank and credit union accounts, insurance policies, mutual funds, retirement savings and other assets and investments they have in Canada. If they don’t, they could face draconian penalties of up to 50 percent for each account or $100,000, whichever is greater. Fortunately, the Canadian government resists that absurdity. Canada’s Finance Minister Jim Flaherty has made it clear Canada Revenue Agency (CRA) does not and will not collect penalties for IRS for any Canadian citizen or resident. Nor will CRA collect any tax liability for IRS for a Canadian citizen, even if the person was also a U.S. citizen at the time of the tax liability. That’s not enough to keep IRS away from the business of Canada, Canadian banks or Canadian citizens and residents. Beginning in 2015, IRS expects Canadian banks to report on assets held by “US persons” living in Canada under the U.S. Foreign Account Tax Compliance Act (FATCA). If banks refuse, U.S. will impose huge financial penalties. If Canadian citizens and residents refuse to give consent for personal information to be released to IRS, FATCA demands Canadian banks declare these honest, law-abiding citizens “recalcitrant” and close their legal Canadian accounts. These accounts are not “foreign.” They are not “offshore.” They are held in Canada where citizens and residents live, work, earn an income, bank and pay taxes. Many are retirement savings of seniors. FATCA clearly violates Canadian banking, privacy and human rights laws and Canada’s constitution and Charter of Rights and Freedoms, as well as laws of other countries. Congress, IRS and U.S. Treasury have shown disdain for other countries as they inflict their atrocious demands on the globe. Who are “US persons” living in Canada? *Canadian citizen, but “acccidental Americans” born in United States to Canadian parents. *Canadian citizens who were told clearly and firmly by United States Consulates decades ago they were “permanently and irrevocably” relinquishing U.S. citizenship by becoming Canadian citizens. If Canadians and others around the world want to renounce U.S. citizenship to protect their private financial information from U.S. snooping, IRS expects five years of income tax returns, destructive penalties and a possible exit tax. Senator Cruz, Canada respects your decision to renounce your Canadian citizenship. When it is granted, I assure you Canada will not stalk you for information about your private finances and will not demand taxes or penalties from you. Senator Cruz, will you and your Congressional colleagues do the same to protect Canadians and others around the world from outrageous demands of the IRS and U.S. Treasury? Swanson is a retired human resources manager, writer and blogger. Born and raised in Pennsylvania, she has been a Canadian citizen for 40 years. Part 3 – Unintended Consequences of FATCA: Will Taxpayer (Individual’s) Personal Financial Data at IRS get “Snowdened”? Prior posts discussed unintended consequences of FATCA, including devaluing the U.S. citizenship to some with a resulting surge in U.S. citizenship renunciations. See, Part 2 – Unintended Consequences of FATCA – for USCs and LPRs Living Outside the U.S. Under FATCA, countries will be collecting and then delivering massive amounts of taxpayer data to and from government agencies. Will governments use private contractors to manage and move this information (as did the NSA with Mr. Snowden)? The type of information that will be provided under FATCA is extensive, including names, financial account numbers, bank account names, taxpayer identification numbers (e.g., social security numbers, etc. ), income earned from account assets, etc. As more and more information is made available, and as it goes through more and more hands via FATCA channels, there is bound to be significant leaks and stolen personal financial information of individuals around the world. 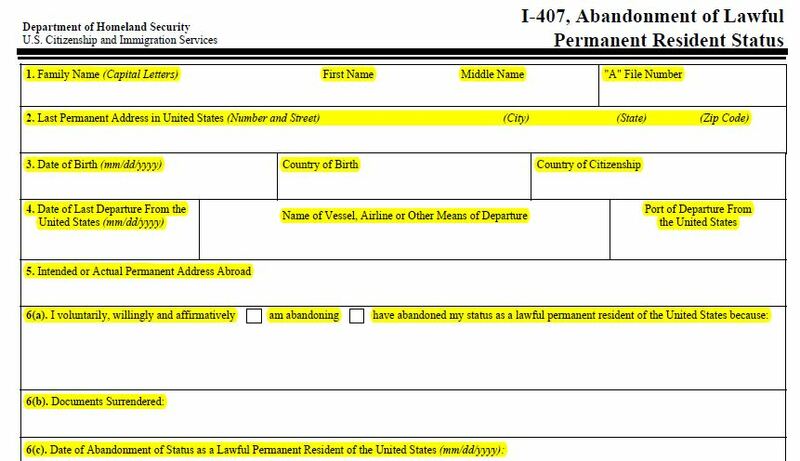 Who is a “long-term” lawful permanent resident (“LPR”) and why does it matter? The answer to the above question will only matter, for purposes of “tax expatriation” if the LPR plans on living and moving outside the U.S. The law defines a “’long-term resident’ as any individual (other than a citizen of the United States) who is a lawful permanent resident of the United States in at least 8 taxable years during the period of 15 taxable years.” See, IRC Section 877 (e)(2. Importantly, there are key concepts of who satisfies these requirements, which is not as simple as it seems on its face. See, for instance Section 7701(b)(6) with specific rules for individuals who live in a country with a U.S. income tax treaty. Importantly, the definition of a lawful permanent resident for tax purposes (as defined in Section 7701(b) ) is not identical to the definition for immigration law purposes. The importance of LPR status for tax purposes in the expatriation context is crucial. 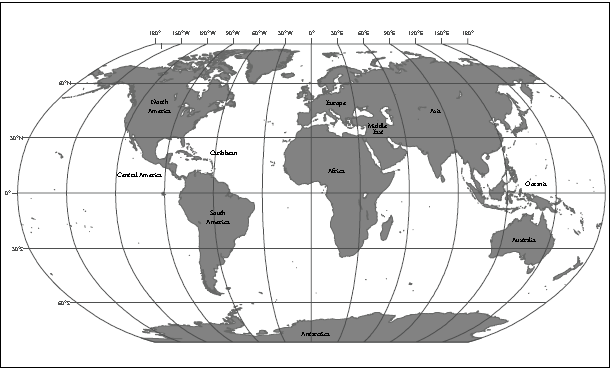 Its the saying “black or white” or “night or day” when thinking about the U.S. “expatriation” tax consequences to LPRs. In short, a LPR who never becomes a “long-term resident” as that technical term is defined in IRC Section 877 (e)(2) can avoid the various taxes that arise from otherwise being a “covered expatriate”. The future heirs and beneficiaries who receive assets from this LPR (who never was a “long-term resident?) can also avoid a major tax; currently 40% of the value of the gift or bequest. See, Revisiting the consequences of becoming a “covered expatriate” for failing to comply with Section 877(a)(2)(C). The reason it is so important, is that if a LPR never becomes a “long-term resident”, he or she can never cause themselves to “expatriate” as that term is defined in IRC Section 877A(g)(2). If a LPR never can “expatriate” under the tax law, he or she can never become subject to a range of adverse (some would say draconian) tax consequences that apply. See the following post for a further explanation of the various adverse tax consequences: Why “covered expat” (“covered expatriate”) status matters, even if you have no assets! The “Forever Taint”! Obviously, this is a very good result for a LPR to never become a “long-term resident”. Planning for it is another task; particularly given the personal living arrangements of each particular individual. The determination of if or when one becomes a “long-term resident” is highly complex, due to different cross-provisions in the tax law. Specifically, Section 7701(b)(6) has a provision that can have unintended consequences for the unwary LPR. See, for instance, LPR status can be abandoned for tax purposes (since 2008 tax law changes) by merely leaving and moving outside the U.S. in some cases? Part 2 – Unintended Consequences of FATCA – for USCs and LPRs Living Outside the U.S.
An earlier post discussed how USCs and LPRs living overseas have historically not been a focus of the policy makers at the federal government under FATCA; until now. See, Part 1- Unintended Consequences of FATCA – for USCs and LPRs Living Outside the U.S. The FATCA legislative history nor preamble to the regulations discussed or focused on USCs and LPRs living outside the U.S.
Another unintended consequence of FATCA is that U.S. citizenship (at least among a certain group of individuals) has become devalued. 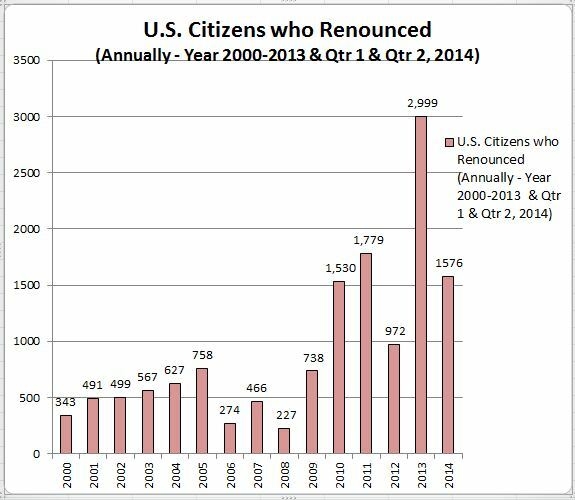 This is a reflection of how many people are renouncing citizenship, which in relative terms has been an explosion; e.g., a 500%+ increase in ten years from 2003 to 2013. Still, in absolute terms, it is a very small number; particularly considering the number of non-U.S. citizens who wish to become a USC. In 2012, the USCIS reported there were 13.3 million lawful permanent residents (LPRs). See, DHS report, Estimates of the Legal Permanent Resident Population in 2012. Presumably, most of these LPRs wish to become naturalized citizens? In addition, 779,929 individuals became naturalized citizens in 2013. See, Department of Homeland Securities, Office of Immigration Statistics, U.S. Naturalizations: 2013. Nevertheless, I am confident that this large percentage increase in USC renunciations was not a goal or intention of the policy makers behind FATCA; an unintended consequence. Part 1- Unintended Consequences of FATCA – for USCs and LPRs Living Outside the U.S.
As the Foreign Account Tax Compliance Act (“FATCA”) has gone into effect (1 January 2014), there are an increasing number of consequences to United States citizens (USCs) and lawful permanent residents (LPRs) residing overseas. Generally bringing transparency to the assets, accounts and information of worldwide assets of USCs and LPRs. This and other follow on posts will discuss these unintended consequences. One of the most significant unintended consequence, is that the U.S. federal government (the IRS, the Treasury Department, or Congress) never initially even contemplated USCs and LPRs living overseas. In other words, the group targeted were U.S. resident individuals who were evading taxes through foreign financial institutions. I say this, based upon extensive conversations I have had with ex-government officials and some government officials who were involved in the original policy discussions. The focus then was on U.S. resident taxpayers; even though the U.S. imposes U.S. income taxes on the worldwide income of USCs living anywhere in the world. See, “Tax Simplification: The Need for Consistent Tax Treatment of All Individuals (Citizens, Lawful Permanent Residents and Non-Citizens Regardless of Immigration Status) Residing Overseas, Including the Repeal of U.S. Citizenship Based Taxation,” by Patrick W. Martin and Professor Reuven Avi-Yonah, 2013. In practice, the U.S. federal government has known for many years that it can be nearly impossible to collect a tax liability against USCs who live and have their assets outside of the U.S. Specifically, the Treasury Department noted back in 1998 that . . .
Other factors also operate to limit both compliance measurement and improvement. Because the United States asserts taxing jurisdiction over those with little or no connection to the United States other than citizenship or status as a lawful permanent resident, in many cases overseas U.S. taxpayers are difficult to trace or contact. Moreover, even when valid tax assessments can be made against overseas taxpayers, IRS has limited enforcement recourse if the taxpayer’s assets are physically located outside of the United States. Also, the original offshore voluntary disclosure initiative in 2009 never even contemplated any particular treatment for USCs or LPRs residing overseas. I submit, the USC and LPR living overseas was not even on the “radar” of the IRS at the time the first program was created. It was not until 2011, that a new category was created that imposed a 5% penalty for persons residing overseas, but who also had only US$10,000 of U.S. sourse income. As time has gone on, the IRS has realized that numerous USCs and LPRs indeed live somewhere other than the U.S. (millions of them) and yet again modified the 2014 OVDP to provide for a “0%” penalty in certain circumstances for these individuals. 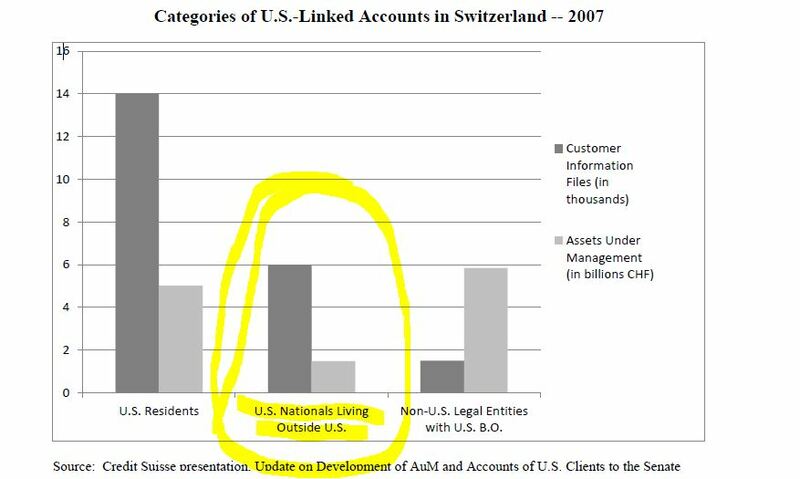 When FATCA was originally passed in 2010, USCs and LPRs living overseas was not the focus (and barely a thought). The heavy compliance focus as of late was an unintended consequence. This entry was posted in Tax Compliance, Tax Policy. The U.S. federal government, led by the Department of Homeland Security (“DHS”) has taken great efforts and incurred great cost to develop technology and systems to track individuals as they come into the U.S. There are also programs afoot, specifically the Entry/Exit system with Canada, that helps track individuals as they leave the U.S. For more details, see the Wilson Center and its review of the Entry-Exit Systems in North America. This tracking is very specific and part of the TECS database that is operated and managed by the DHS. The TECS database has been discussed in prior posts, including Does the IRS investigate United States Citizens (USCs) and Lawful Permanent Residents (LPRs) residing overseas? This topic will become even more relevant starting in 2015 as the IRS collects financial and account information via FATCA of USCs and LPRs residing in various countries throughout the world. A series of posts dedicated to this topic will be made, including by guest immigration lawyers, discussing various legal implications of the tracking of U.S. citizens and LPRs. This entry was posted in Collateral Consequences - Non-Tax, Immigration Law Considerations, IRS Audit Techniques - Expatriation, Tax Compliance. I am often asked about how to subscribe to this BLOG. By subscribing, you will receive automatic notices of any particular post and can manage how and when you receive information from the http://tax-expatriation.com/ resource.